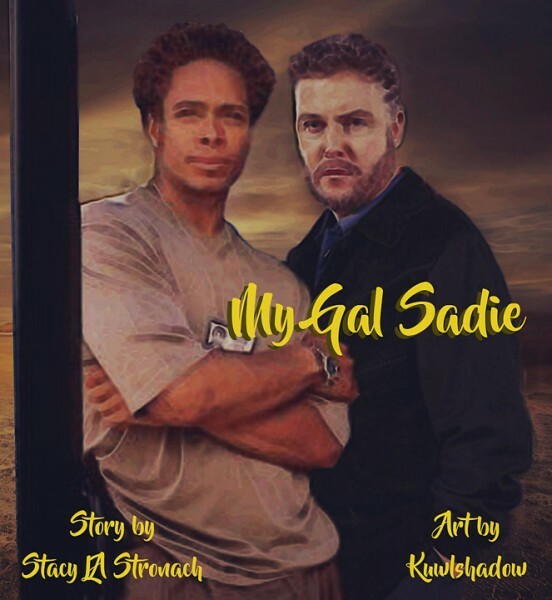 Summary: The story of Gil and Warrick coming together as Gil helps the widowed Warrick raise his daughter, Sadie. Artist Notes: This is my first time creating art for a story written in the CSI fandom. This show I used to watch with my husband all the time until actor that played Gil Grissom left the show. I started watching it a little bit when Ted Danson joined the show but without Gil it just wasn't the same. Stacy wrote a nice story feature the pairing, Gil and Warrick. Stacy is a pretty sweet author and I enjoyed working with her on this project. And thanks to the mod at wipbigbang for your hard work and creating this awesome opportunity!